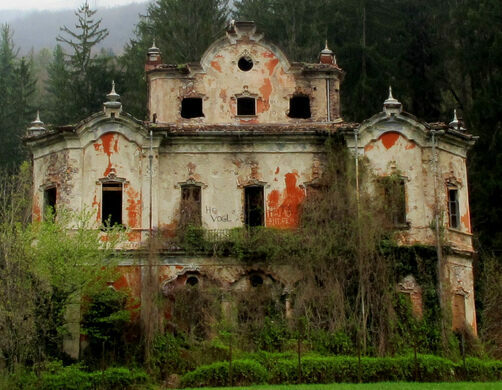 Just east of Lake Como, nestled against the forested mountains of Cortenova, sits a house that’s said to be haunted. 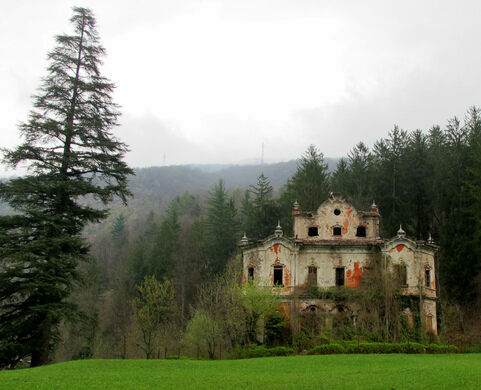 Villa De Vecchi, alternately nicknamed the Red House, Ghost Mansion, and Casa Delle Streghe (The House of Witches), was built between 1854-1857 as the summer residence of Count Felix De Vecchi. Within a few short years of its completion the house witnessed an inexplicable string of tragedies that would forever cement its gothic legacy. This military mausoleum captures the solemn grandeur that most memorials only aspire to. Count Felix De Vecchi was head of the Italian National Guard and a decorated hero following Milan’s liberation from Austrian rule in 1848. A well-read and widely traveled man, the Count set out to build a dream retreat for his family with the help of architect Alessandro Sidoli. 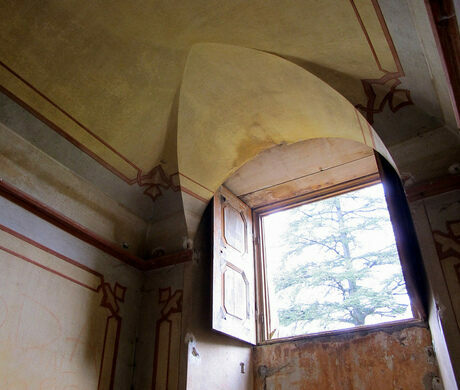 Alessandro Sidioli died a year before the villa was completed, and many would later view his death as the first ill omen. Nevertheless, the Count and his family made Villa De Vecchi their home during the spring and summer months, and by most accounts lead an idyllic—if brief—existence. Set within a 130,000-square-meter park, the great mansion boasted a blend of Baroque and Classical Eastern styles, and was outfitted with all the modern conveniences of the time including indoor heating pipes, dumbwaiters, and a large-scale pressurized fountain. 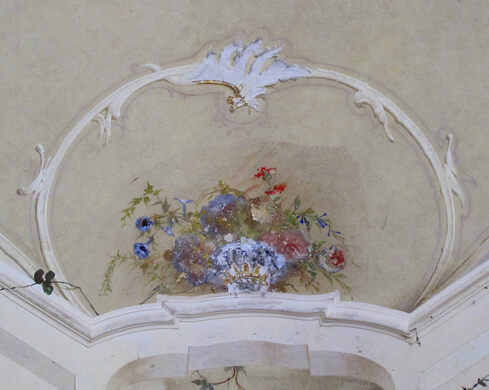 The walls and ceilings were decorated with painstakingly detailed frescoes and friezes, and a larger-than-life fireplace presided over the main parlor where a grand piano stood at the ready. Extensive gardens and promenades rounded out the already picturesque surroundings, and an equally impressive staff house was built. Sometime in 1862 the Count returned home to find his wife brutally murdered and daughter missing. The Count put out a lengthy, unsuccessful search for his daughter, before committing suicide that same year. 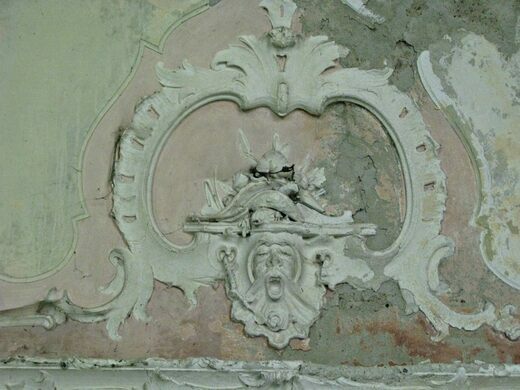 The villa was then passed on to Felix’s brother Biago, whose later renovations oversaw the removal of much of the estate’s Eastern aspects. Biago and his family continued to live on the grounds up until WWII, after which they vacated for good. The house made the rounds of owners and prospective buyers, but by the 1960’s was left permanently uninhabited. While the natural elements began their assault early on, the majority of the abandoned house’s irreversible damage has been done by humans. Graffiti covers the walls, and anything capable of being vandalized has been given its due makeover. Bad boy occultist Aleister Crowley allegedly spent a few nights at the villa in the 1920’s, which naturally led to a rise in fan pilgrimages. Rumors of ritualistic orgies, sacrifices (both animal and human), suicides, and murders abound. 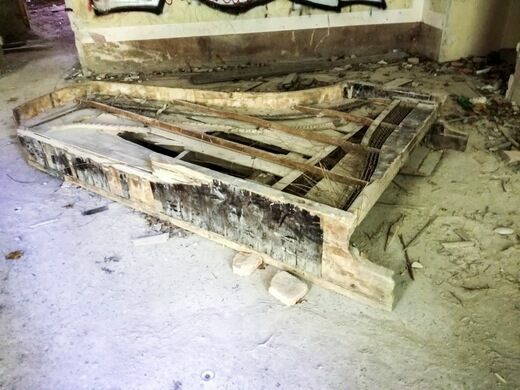 The grand piano, once said to be played at night by a ghostly entity, has since been smashed to pieces, though some locals claim that music can still be heard coming from the house. 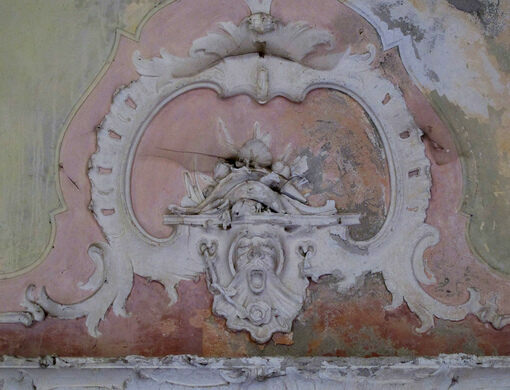 Despite all natural and human efforts to bring about its demise, Villa De Vecchi persists. 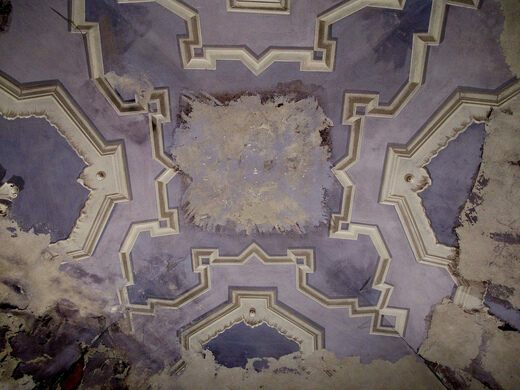 An avalanche in 2002 wiped out all of the nearby houses, while the villa remained untouched. First and foremost, technically going into the house is trespassing. A few tattered signs will tell you as much, so be mindful. Daylight hours are best for visiting, and not just because of things that go bump in the night; the house really is at its most viewable (and for safety’s sake, navigable) during the day. Second, and maybe even more importantly, the house IS falling apart, and faster than ever. Recently one of the upper floors gave out, taking a woman with it. The stairs are rapidly deteriorating, and bits of ceiling regularly rain down. Hard hats and knee pads aren't necessarily a must, but be cautious and maybe avoid the upper levels altogether. Last but far from least, please be respectful of the house and its surroundings. Villa De Vecchi is truly a magnificent piece of architecture, and unique example of one man’s vision that surpassed typical McMansion standards. This half-finished "city of toys" was almost Italy's own Las Vegas. Old batteries and frog skeletons reside in this lakeside monument to Alessandro Volta. Natural cathedral designed by Italian artist Giuliano Mauri. 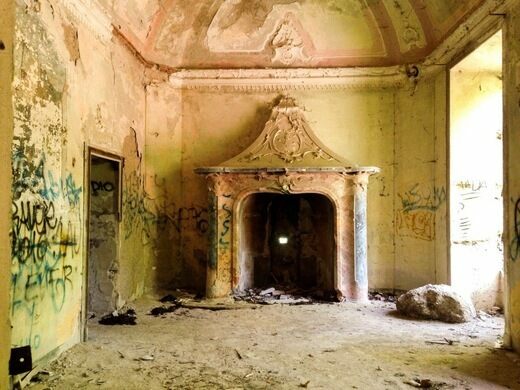 The luxurious circular mansion built for a Communist leader now lies abandoned. A former squatter's paradise outside Prague. 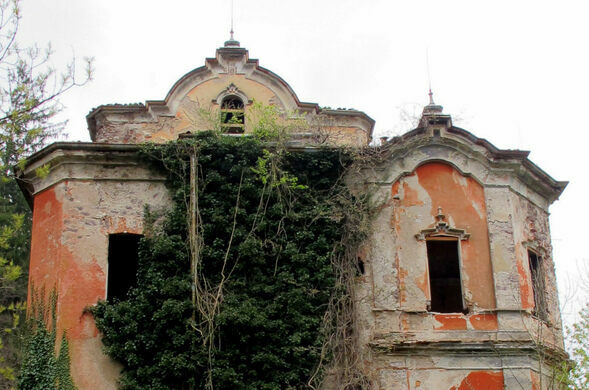 Enchanting gardens surround a derelict mansion, all hidden in plain sight behind a stone wall.